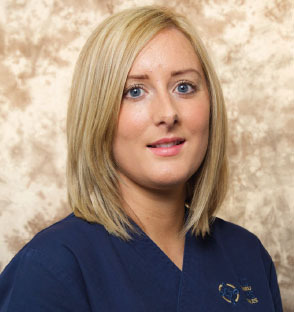 Claire Harris is ward sister in the acute stroke unit, Royal Gwent Hospital, Newport, Wales. She is responsible for leading a large team of 40 nurses who deliver stroke services to patients in Gwent. No one in my family is a nurse, but since childhood I have wanted to join the caring profession. I enjoy helping people and love working with older people. I definitely think nursing is the vocation for me. Clichéd as it may sound, I always dreamed of being a nurse. Originally, I considered training to become a midwife, but I enjoyed nursing so much that I changed my mind. Delivering patient care. I work with a dedicated, compassionate team of nurses who inspire me every day. It is a privilege to be a part of every patient and family’s life, and I enjoy developing and mentoring other nurses. The experiences I have had as a nurse and manager have helped me to develop my leadership style, while self-reflection has helped me to gain confidence from experiences. Good role models are vital and I am surrounded by excellent nurse leaders who I admire and learn from each day. I am also studying for a master’s degree in leadership and management at the University of South Wales, and the theory is underpinning my development. How does your job make use of your leadership skills? As a ward sister, I use my leadership skills every day. Managing a large team of registered and unregistered nurses presents challenges and rewards. Helping to develop a new centralised stroke service in my health board makes me aware of my leadership style on a daily basis. My greatest challenge was starting as a newly appointed deputy sister with minimal experience in nursing, let alone in leadership, and tackling a ward. I got through it with the support of my fantastic nursing team, who I knew were dedicated to improving stroke patients’ care. I would like to be at the heart of patient care delivery. My team inspires me every day. The care given to patients is what I would expect for members of my own family. One of the senior nurses, David Timmins, supported and encouraged me through some challenging times in my early days as a nurse leader. His honesty, mentoring skills and ability to engage with staff remain my inspiration. The improvements my team and I have made for stroke patients over the past four years. The quality of care we provide to patients and families has dramatically improved, and this has been highlighted by a low level of complaints, and by excellent recent reports from Healthcare Inspectorate Wales and the Care Quality Commission. I am extremely proud and honoured to have won RCN Wales Nurse of the Year 2015, especially when there are so many nurses working equally as hard to improve services for patients across Wales. Nurse leaders should be visible and approachable. They should work alongside team members so that they can understand the pressures they are under, and make informed changes to improve and develop services for patients. Gain as much experience as you can to build and develop clinical skills and knowledge, and stand by the values and beliefs when you first became a nurse. The NHS can be a high-pressure place to work. You will experience some days that are tough and challenging, but many more that are positive and rewarding.